You can find a New York Deli in Las Vegas even if that deli is no longer open in New York. Carnegie Deli is still alive in Las Vegas piling pastrami and corned beef high on rye. A good delicatessen knows how to lay out the corned beef and pastrami and Carnegie Deli at the Mirage does a real good job of making some huge sandwiches with so much beef that you feel like your insides will collapse if you eat the entire thing. The menu is full of every favorite deli item you have always craved and if you close your eyes you'll feel like you are in NYC. You'll have to have the Pastrami and eggs or a sandwich piled high but be sure to peruse the menu and try a few of those items that you just don't find at your local sandwich shop. 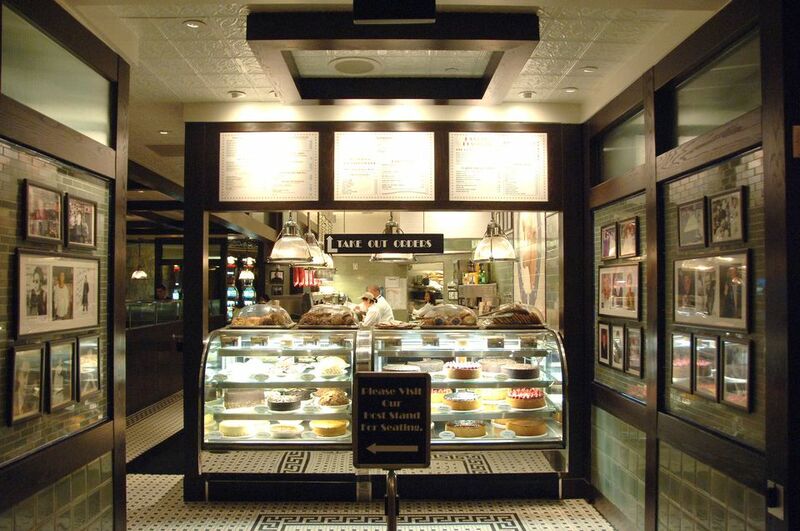 What it’s like at the Carnegie Deli Las Vegas? The Deli right near the sports book is not like the real thing on 7th and 55th but they do a decent job of giving you a little NYC attitude. The atmosphere is lively and right off the casino floor so it can get cramped by Las Vegas standards. However, you most likely will not be sharing a table like in New York. The dining room is bright and comfortable and is perfect for that meal right before you hit the town. If you surround yourself with budget conscious people this is where you go as an alternative to a fancy, expensive meal. You'll get the calories you need and you can easily keep the cost down by sharing. If you are a forward thinker you'll order a sandwich to go so that at the end of the night when you leave the club you'll have something to look forward to back in the room. Remember, this is a deli so don't expect any frills beyond what you would expect in a coffee shop. If you are staying at the Mirage this is the perfect spot to order to go or to have as a snack by the pool. Just be careful because once you pack in that much meat you'll swell a little from the obnoxious amount of salt in the sandwich. How’s the food at Carnegie Deli Las Vegas? Order up any sandwich and you can bet on sharing with your neighbor. The split charge is $2 so order a corned beef on rye and split it for the best deal in Las Vegas. I hear rave reviews about the desserts but the truth is I never get past the three pounds of beef on the plate in front of me. My suggestion, order the Woody Allen and block up that digestive tract for a few days. The corned beef and pastrami is actually a good replica of the original and you can leave there with plenty of leftovers so order wisely. This is a good breakfast spot because when you mix up that pastrami with some eggs it is hard to find anything on the strip that can beat that for comfort food in Las Vegas. If you are at Mirage Las Vegas take a look at the Pantry for breakfast, Portofino for Italian and Senor Frogs when you just need a beer and loud music.